Dressed in a blue India polo jersey, Harsh Tyagi sits rather uneasily in the middle of the stage, surrounded by his school principal, teachers and coach. The 18-year-old has just returned from Bangladesh where he was Man-of-the-match in the Asia Cup final, picking 6/38 against Sri Lanka to play a starring role in India lifting the cup. Harsh though has the air of someone who’d much rather be bowling his left-arm spin, than answer questions from the media. After all, that's what he has been doing since he was old enough to hold a cricket ball. It was at the age of 13 in a hot weather cricket tournament - organised by Delhi and Districts Cricket Association (DDCA) - that Harsh first came into the limelight, picking up 4/28 in 7 overs in one game. Former India all-rounder Joginder Sharma was named man-of-the-match in that encounter but he decided to give the award - Rs 4000 and a T-shirt - to Harsh. He remembers looking around the dressing room and that was filled with Ranji stalwarts with the likes of Paras Dogra, Rishi Dhawan, Parvinder Awana among others. But the teenager wasn’t overawed. "When I first saw him, he appeared as a natural left-arm spinner with high arm action. You don't get to see them often, especially at that age," says his coach Phoolchand Sharma. "He is a quiet guy but is not afraid to ask questions. If he can't understand something, then he doesn't hesitate to ask over and over again. Also, he is dedicated to the game and not too attracted to the limelight, that will hold him in good stead as we he goes ahead." Harsh has an air of quiet confidence about him. For instance, in the Asia Cup final, he came on in the 14th over when Sri Lanka were building a partnership. Harsh broke the partnership in the 16th over and had won the game for India by 39th over. "I was confident, we had already played Sri Lanka before in two Test matches and five ODIs. We already had plans against them and executed that," he says. 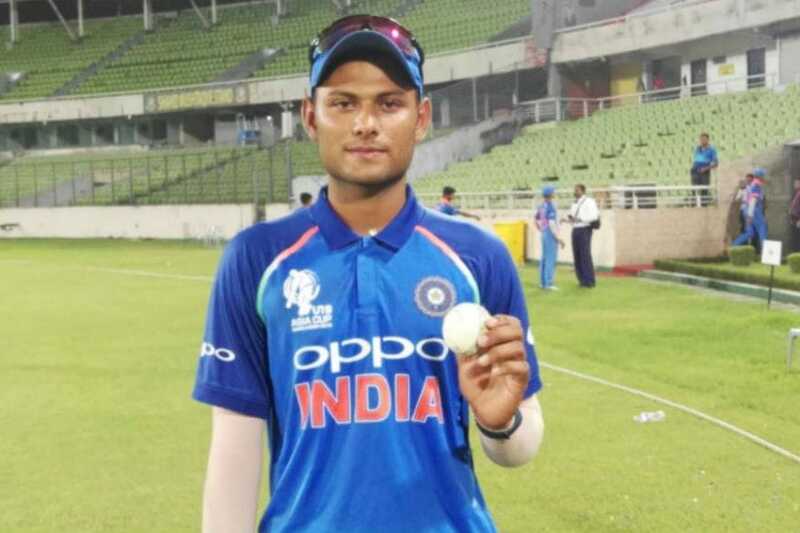 With the Indian age group teams getting more exposure than before and Rahul Dravid handling the reins, teenagers such as Harsh know that the limelight is on them and that consistent performances will get noticed. "It is an advantage (playing international teams) and helps to get recognition at the international level, when you perform in such games, you get easily recognised by the selectors. So, these tournaments are a good opportunity for youngsters to perform well and get noticed," he says. There is no time to rest on the laurels though for the 18-year old. Harsh will now play for Railways in the Ranji Trophy and is also hopeful that he will get picked up by a franchise in the upcoming IPL. "I feel IPL is not too far for me,” he says. “I see it as just another platform to perform and showcase my talent."